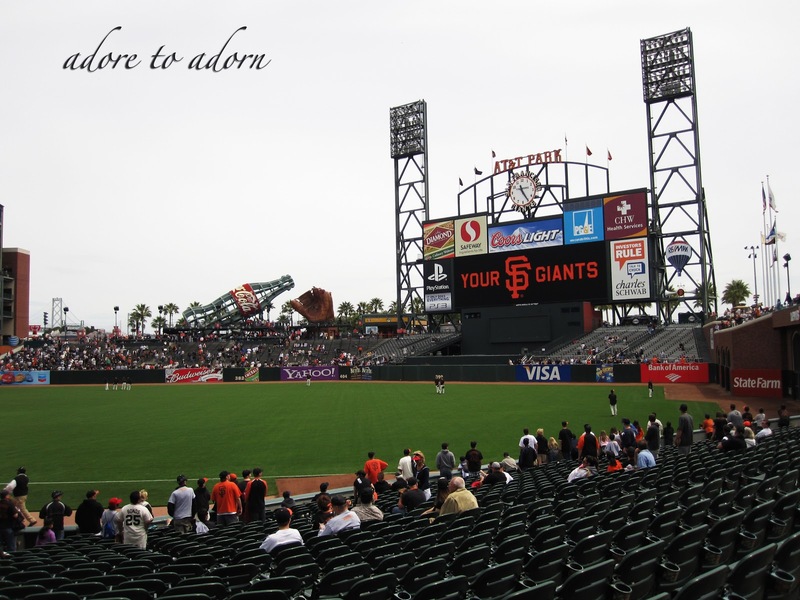 adore to adorn: Take Me Out To The Ballgame! As you can see, this is not a typical style post. 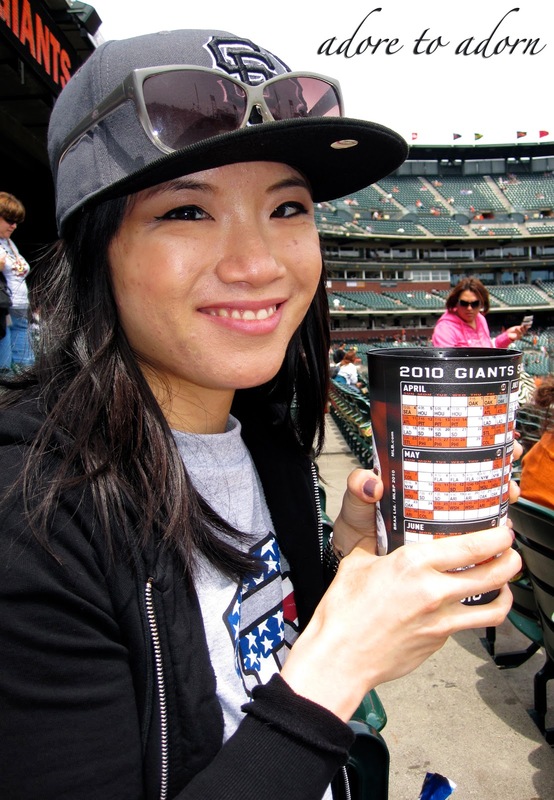 But, this was not a typical baseball season for the SF Giants. For the first time since 2003, the Giants have made it to the post-season. I'm a baseball junkie and it was a nerve-wrecking end to the regular season--but the Giants came out winners! In honor of the post season, I am dedicating this entry to the SF Giants and the first game tomorrow between them and the Braves. Baseball is classic American and I enjoy the entire experience of attending a game. Nine innings in person is never the same as it is on television. 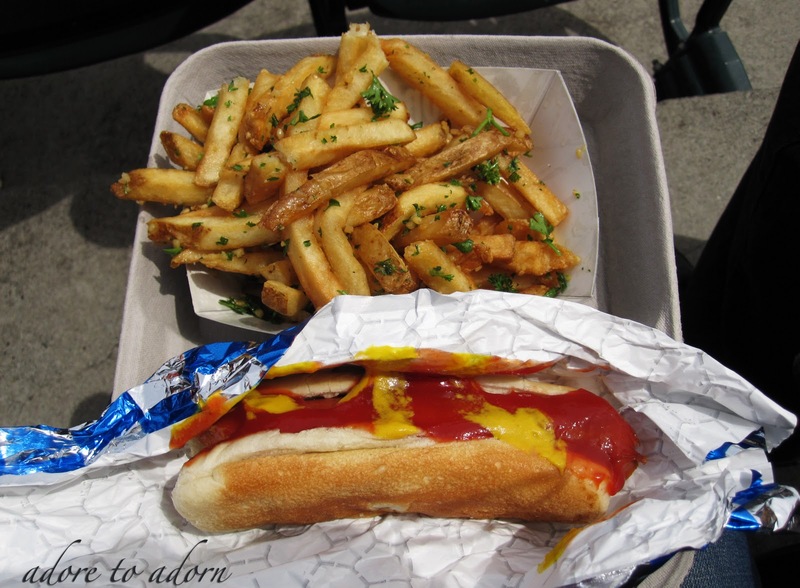 While I won't be attending any games at the stadium for the post-season, I will reminisce my times there during the regular season...garlic fries, hot dogs, giant cup of soda, and all! I will root, root, root for the home team....from the comforts of my home.